The IVF lab is the heart of IVF treatment, where we keep the eggs and sperms safely and allow the embryos to grow until they form good quality blastocyst, which are ready to either be frozen or to be transferred into the uterus. Now, the most important thing an IVF lab does, is make sure there are no toxic elements within the culture medium, within the laboratory which could damage the embryo growth. But the fact of the matter is that there is very little we can do to actually facilitate or accelerate or enhance embryo growth. After all, the growth of the embryo depends on the energy which is provided by the egg itself, and there is very little which we can do in order to enhance or improve this. And this is one of the short comings which an IVF lab has. That we have to work with whatever biological raw materials we have available. This is why IVF success rates for older women are lower than those for younger women. And it can be frustrating when embryos don't grow well in a good quality laboratory, but if you're sure that the quality of the lab is good, then this is something we just have to learn how to live with. The IVF hurdle race ! World's first infertility Chatbot ! How can we make IVF more affordable in India ? Why didn't this blastocyst implant ? IVF failure - incompetence ? or bad luck ? How IVF doctors create work for themselves ! 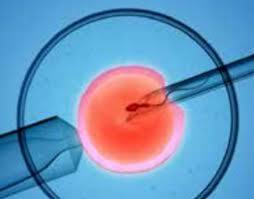 What are diva donors in IVF clinics ? Are we overlooking something doctor ? Having a baby makes for happier families !